The Light In The Woods ~ continued. It was the boy's turn to set up camp and the men's turn to fish. The campsite was off the shoreline a few feet and the boys were busy, so they did not notice the light. Rod and Chad were right on the shore fishing, so as dusk approached they both noticed a bright white light, perhaps a mile or so away. The light was as white as the light of a full moon, but it was on the shore and the lake is surrounded by mountains. It could not be the moon and a fire would be yellowish. They figured it was man made, perhaps a party. Rod and Chad were catching fish, their thoughts were on the fish feast that was in store and not the strange white light. During their delicious meal, Chad mentioned the light to the boys. After eating they all went to the lake shore to see if it was still there. It was! Now it was huge, bigger, brighter and even whiter. They heard no sound, so unless it was a lot farther away than they calculated, it could not be a party, being white, it seemed that it had to be man made...but if it were man made it was huge...no one could carry anything big enough to be that bright. Male logic and curiosity left only one alternative. "Let's go see what it is." said Jack, the most curios of them all. "OK, but we stay together and on the shore line so we won't get lost." said Chad, almost as curious as his son. They grabbed their flashlights and a little over a mile later, they could see a white orb just off the shoreline, it seemed to be 15 or 20 feet in diameter. Chad and Jack stepped up their pace. "Slow down." said Rod as he and Roger watched the other two pull away.. Chad and Jack were almost running now and seemed thrilled as they narrowed the distance between them and the brilliant white light. Rod and Roger picked up their pace, now they were almost running as well. What they saw next caused them both to each pick up a branch and to run toward their friends without thinking and yelling, "We're coming! We're coming!" Rod and Roger saw that the orb seemed to suddenly move toward Chad and Jack and then Chad and Jack fell to the ground. Next, it seemed as if the orb heard the yelling. Whatever the reason, the orb seemed to break up into a million fireflies that quickly disappeared into the woods. Jack and Chad were lifeless, Rod called 911, then he and his son administered CPR. Jack and Chad were revived in less than a couple of minutes and were fine. While they were waiting for the helicopter, they told Rod and Roger what they had seen. Two days later they told me. The helicopter landed and when the EMTs asked them what had happened they had said white light or bright light...they were not sure which they said...but the EMTs immediately related it to a lightning strike and Jack and Chad said no more. We had all gone to the den after our celebration and sat around with a nice warm fire in the wood stove, having hot chocolate and coffee. That is when Jack confessed that he was not sure if he should tell anyone what he saw. Not Chad, not Roger or Rod, no one. Chad said he felt the same way. When they had come to, Rod and Roger were both asking, "What happened?" Both Chad and Jack were relieved to hear the other confirm what they had just seen...Chad said we both blurted out, "We saw fairies, millions of fairies. We were so excited and elated to see them, we ran to them. I think that we were both afraid that they would go, once they realized that we were there. Never ever, did we consider that we were in danger." "When they did attack, it seemed that they were trying to stop us from remembering that we saw them. We are pretty sure that whatever they did to us, intentionally or unintentionally, caused our hearts to stop. Fortunately, Rod and Roger scared them away, and brought us back to life." I believe that you will agree that it may not be wise for two teachers, whose wives are also teachers, to admit to such a story. 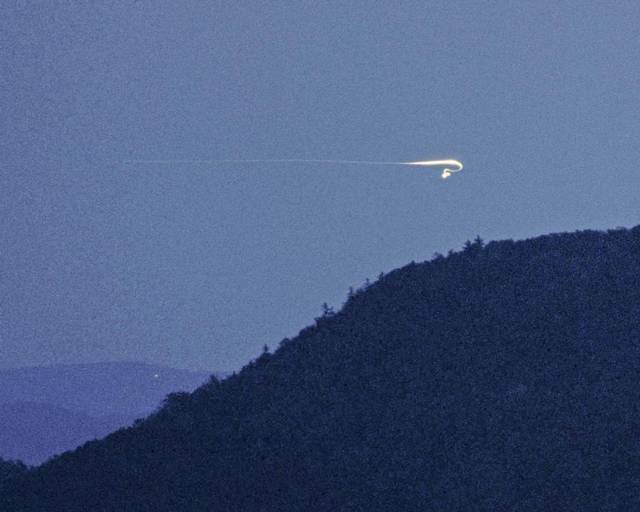 If you are aware of the Brown Mountain Lights, you may find this story to be more credible, in fact, this may be the best explanation yet. . I suggest that if you ever come across a huge brilliant, bright, white, unexplainable light in the woods, go away from it rather than towards it, because curiosity KILLS! I thank you for reading, my friends.